Now the weekend is here. You will find you still have a lot of goodies left to use from our shopping list. For the weekend give yourself a break by eating leftovers for lunch. Add a nice side salad to give it a new meal feel. Step into trying something new as well. I had always heard cucumber sandwiches were good but remained sceptical until I tried this recipe. I like mine with a bit more mustard but that’s just my taste. I really am impressed with the texture and flavor of these. And the overall price is very low! Now on to those chicken breasts. So many options!!! Really if you find these on sale get them and freeze them. They are so handy to have around. Here are a few chicken breast options. First, chickenChicken with mustard cream sauce with mustard cream sauce. My entire family loves this dish! So it’s a family favorite from ages 2-55 at least! I made it for my mom even. Wonderful and very filling. Did I mention it’s fast and simple to make too. The mustard flavor is not overpowering either, otherwise Sir Swine would not eat it. Extra veggies and chicken? 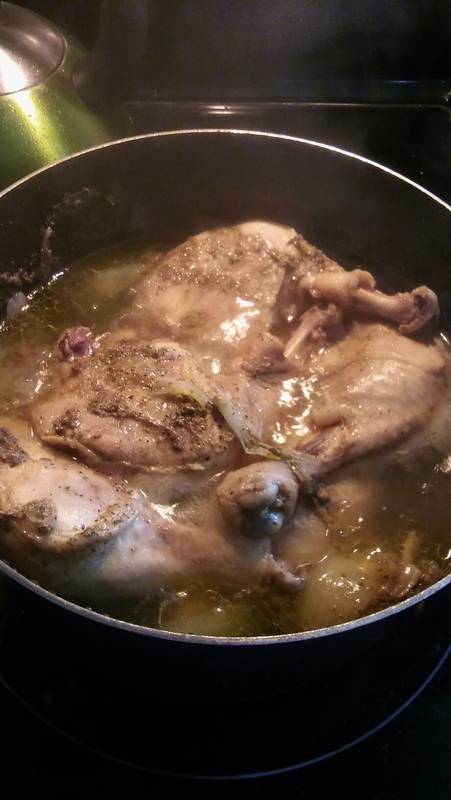 Make some homemade broth by boiling your chicken bones in about 4-6 cups of water. 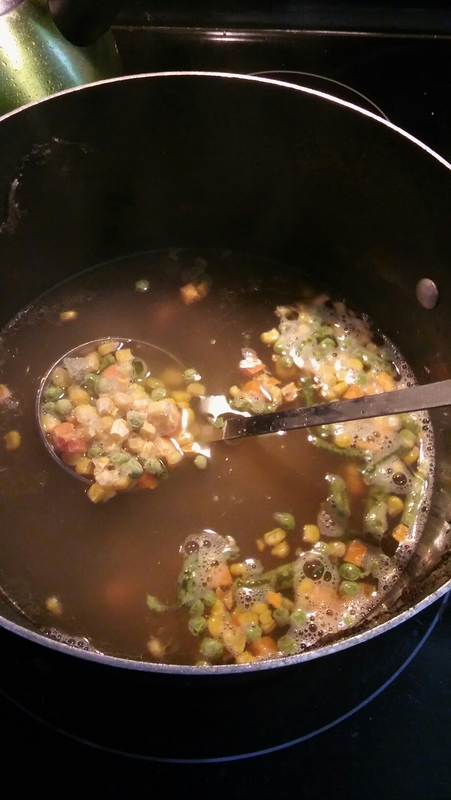 Add salt, pepper, onion, carrots and any other spices you enjoy to make a nice healthy broth. I make my broth with the meat still on the bone. You could freeze your broth to save as you need it or make soup. Add your extra veggies and shredded meat to your broth. Heat it up and then adjust your seasonings. 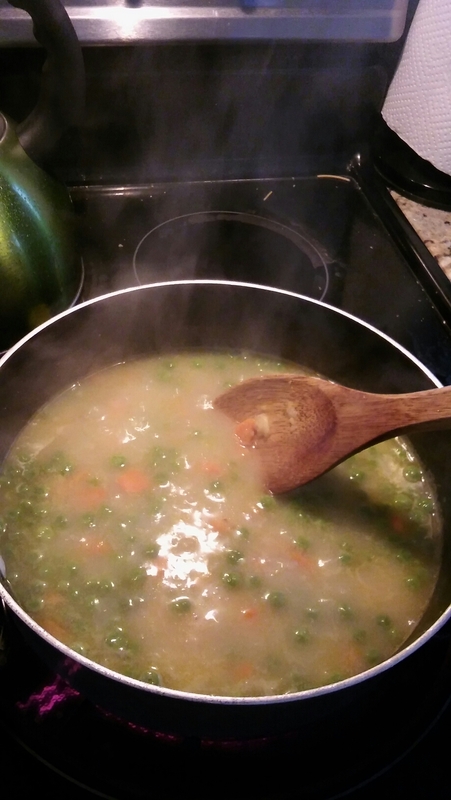 Enjoy the delicious flavor of homemade soup. Want something a bit heavier? 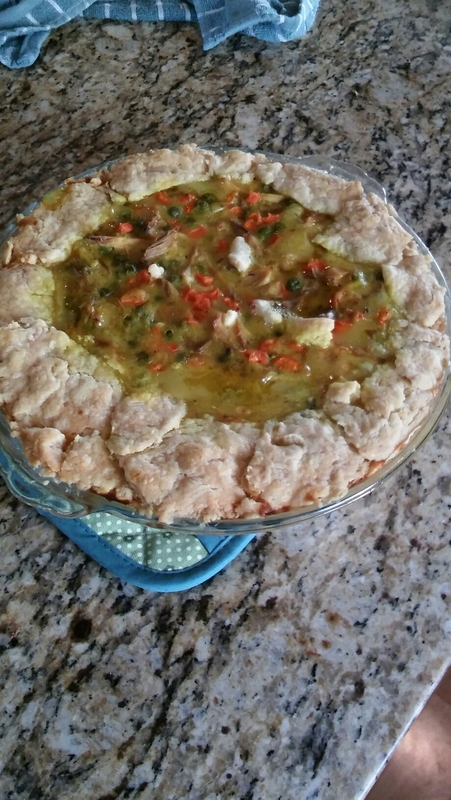 How about chicken pot pie. Take two table spoons of butter and melt it in a large pot. Add two tablespoons of flour, make a the just like you did earlier this week. Once it is golden brown add in one and a half to two cups of broth. Then go ahead and add in your vegetables and chicken. Get it all good and hot. I also like to add in a diced potato at this point. Use a pie crust and pour your homemade filling inside. Cover the entire top it just parts of it. 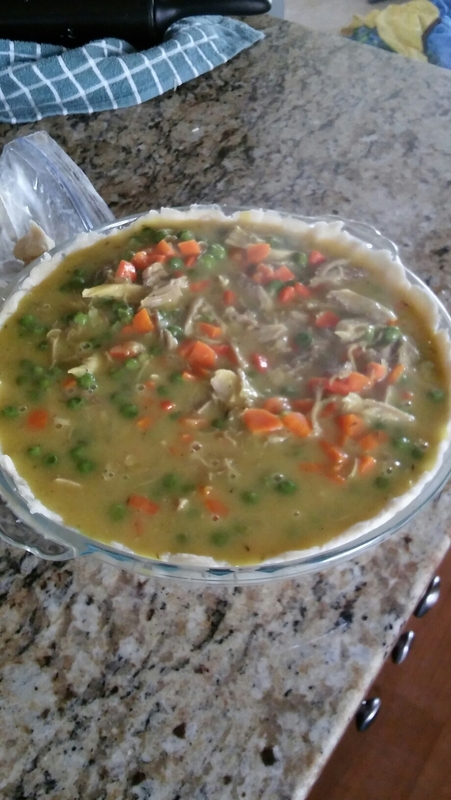 Be sure not to over full the pie pan or you will have a problem once it begins to bubble over. Bake at 350 degrees for about 30-45 minutes until the crust is golden brown and the insides are bubbling and hot. I hope you have enjoyed this weeks posts and have tried a few new dishes while saving some time and money. Let me know what you think.